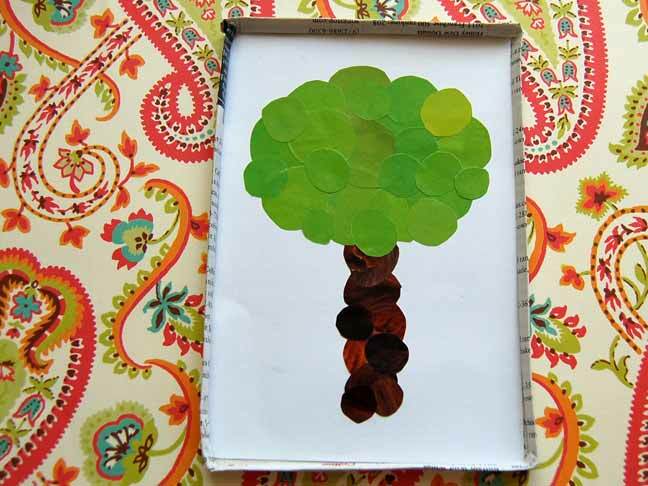 Teach your kids the importance of saving trees with this simple and eco-friendly art project. 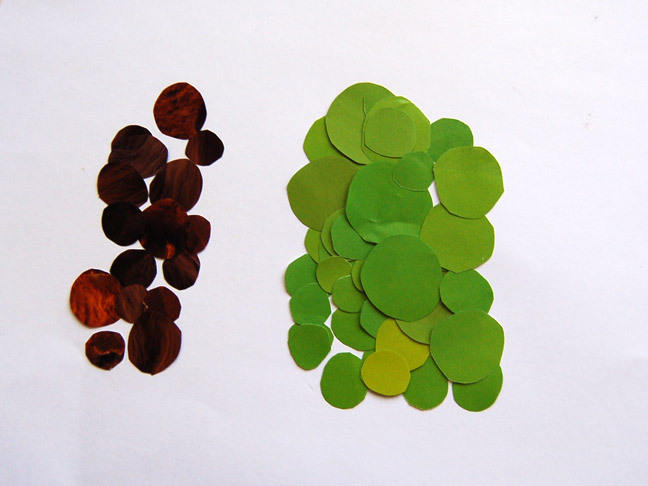 Cut a bunch of green and brown circles from magazine pages. 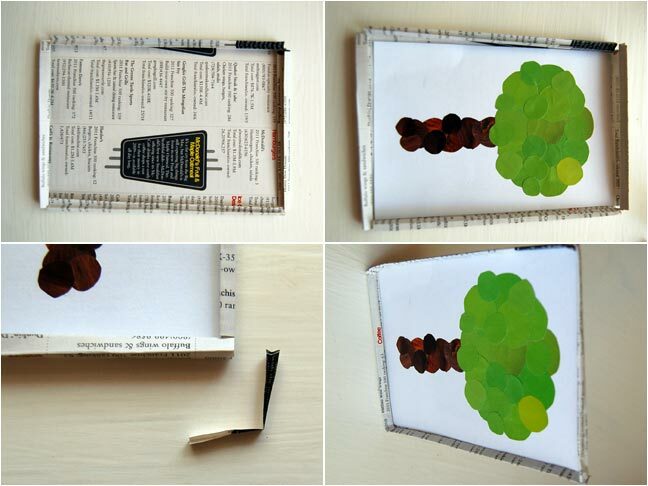 Select a plain piece of recycled paper for the background. Use the glue stick to adhere the circle cut outs in place. Trim the edges of the background. 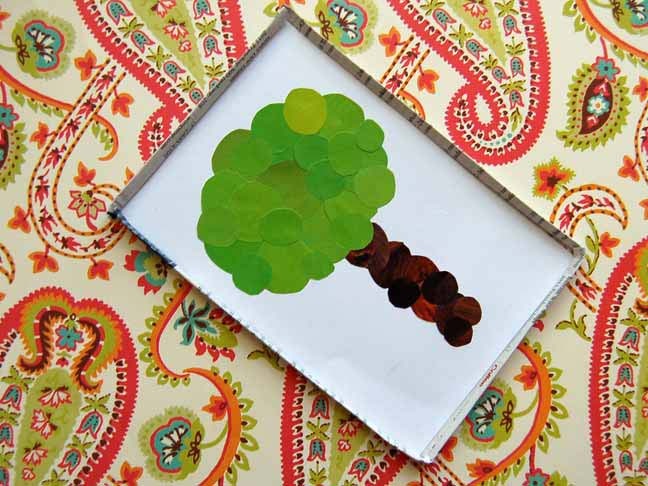 Place the tree art in the center of a piece of magazine paper. Cut squares out of all four corners. Fold in each side as shown. 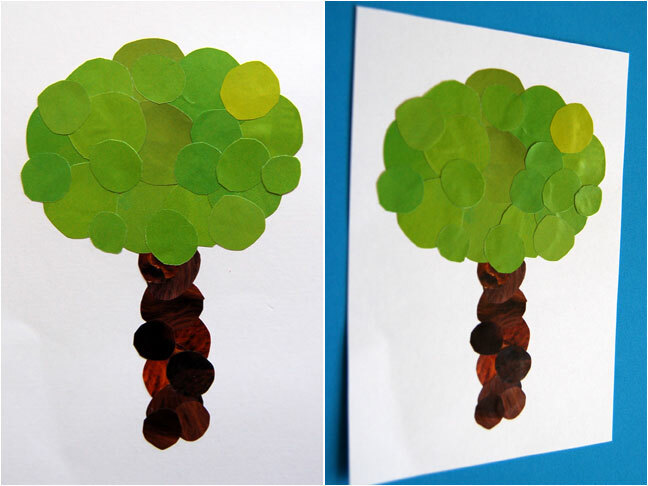 Once all four sides are folded, glue the tree art in the center of the frame. 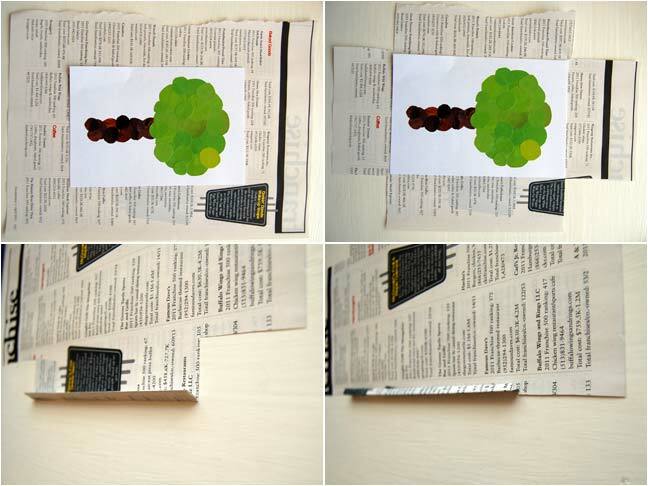 Cut four small strips of magazine paper to act as reinforcement of the frame corners. Insert the strips in each corner and fold the edges over the strips. Glue in place.